Climate Control is proud to accept HomeAdvisor’s Elite Service Award for 2016. The award is a marker of achieving high customer satisfaction levels for residential home services. 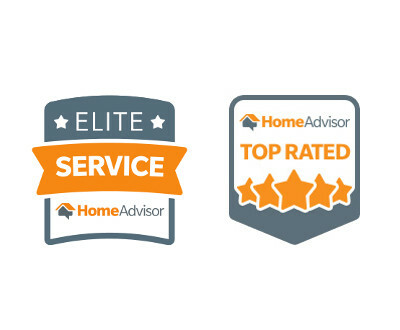 HomeAdvisor presents its Elite Service Award to distinguished home services contractors who received superior customer service ratings from homeowners over the past year. To be eligible for the award, contractors must meet HomeAdvisor’s membership criteria, involving licensing verification and background screening, as well as receive high marks in customer service. Awarded contractors must have maintained an overall satisfaction rating of 4.5 stars, a minimum of five 5-star ratings from homeowners, and have received no complaints in the past six months. Climate Control has proudly served the Lexington community and the surrounding areas since 1968, with a commitment to quality services and superior customer service. The company became a HomeAdvisor member in 2016, and has already earned the “Top Rated” distinction, marking Climate Control as a highly-rated contractor which homeowners would highly recommend. Climate Control is a leading Lexington residential and commercial services provider of heating, cooling, geothermal, and indoor air quality services. Installations, repairs, and maintenance are performed by NATE-certified HVAC technicians dedicated to providing superior workmanship accompanied by the highest level of customer service. Climate Control technicians are available all day, any day to meet our customers’ needs. Each project we complete is backed by our 100% Satisfaction Guarantee to ensure our customers are entirely satisfied with the work we’ve performed. Your HVAC system adds to your comfort but it is no surprise that their repairs are costly and complex…. Is Your Lexington Furnace to Blame for Bad Indoor Air Quality?